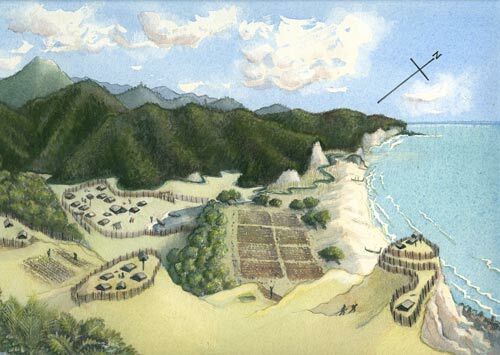 This is an idealised view of a Māori settlement, drawn by Rozel Pharazyn. Kūmara gardens can be seen at the left and centre. Where possible, gardens were on north-facing slopes so they would receive maximum sun.